If you’d asked me yesterday if I believed in the Immaculate Conception, I’d have said ‘Yes, absolutely.’ But that was before last night. Following up from a conversation about the apocrypha with a Catholic friend, I was doing a quick browse of the internet. I kept noticing the phrase ‘Immaculate Conception’ coming up, but something about the way it was worded wasn’t sitting right. Finally, for the first time in my life, I actually looked up the meaning of the phrase. And I was very surprised at what I found. Everyone knows the Immaculate Conception refers to the Virgin Mary becoming pregnant by the Holy Spirit, right? Wrong. Immaculate Conception has nothing to do with the deity of Christ, but rather the perfect nature of his mother; and in that, I don’t believe. It has reminded me to be careful before laying claim to a belief, because if I claim it, I have a responsibility to know what it entails. This entry was posted in Questions I've pondered and tagged belief, Catholic Church, Catholicism, Christ, Christianity, doctrine, dogma, faith, Holy Spirit, Immaculate Conception, knowing what I believe, Mary, Religion and Spirituality, responsibility, sinless, virgin birth, Virgin Mary. ← Give Me the Truth that Hurts, Over a Lie that Makes Me Feel Good. The dogma of the immaculate conception simply pushes the problem of sinful parents having sinful children one generation back. Jesus was sinless because of the virgin birth: He had a human mother, but no human father. Was Mary likewise so conceived? Of course not. Even she recognized her need of a Savior, Luke 1:47. The only thing we can go on with Adam and Eve is the fact that “nothing happened” til Adam ate of the fruit. He was the one responsible for keeping [guarding is another meaning of the word in the Hebrew] the Garden – and Eve for that matter. I believe that he was “with her” during the whole episode and failed to step in when it became evident that the serpent [Satan] was leading her astray. Good for you for doing your research! Was the conversation with your friend about the “Immaculate Conception”? I’m curious to know if he/she knows exactly what Catholic doctrine says about that, among other things. I only say this from personal experience that it would seem many Catholics do not really know the specifics of their denomination and how it contradicts Scripture. It can be so confusing because it is a “Christian” denomination. A typical question I get asked is “What is the difference between a Catholic and what you believe?” In other words, both groups seem to believe the same things. But, dig deeper (like you did), and one will find many differences. In the end, we must be like the Bereans (Acts 17:11), who examined the Scriptures to make sure that the message they received was truly from God. We were talking ‘Mary stuff’ in general, which led us to talk about the apocrypha. (She wasn’t aware the the Catholic bible has extra books in it. I do often find it sad how little they know of what they believe, or at least of what scripture there is to support it. It is so easy to be mislead if you don’t know or read your bible. Funny, as how I explained what I believed (the doctrine of grace not works etc) they are quick to claim that ‘yes that’s exactly what we believe too.’ You can’t just believe what ‘sounds right’ without actually working through whether it contradicts your daily practice. Thank you for bringing this forward. Like yourself, I had never given the term a second thought, believing as you did that it referred to how Christ was brought into this world. It is unfortunate that the Roman Catholic Church has established so many erroneous teachings. It is even more unfortunate that many “Protestant” churches and denominations still believe and adhere to several other erroneous teachings of the RCC. Let us continue to ‘Focus on the Truth that sets us Free’ from all that is false and misleading. Agreed. No one ever told me what the phrase Immaculate Conception meant. When I first heard the phrase, I simply took the two words at face value, not assuming it would have any other meaning. That’s why it was interesting to learn that the RCC had a different slant on the term. That is interesting what you found, but how will you explain the event otherwise? There are many words used incorrectly whether it be by a religion or culture. I think the term has become intrinsically linked to the earthly ministry of Christ. The problem is not in the term, but in the teaching by some groups. I think I get your point. I would say that it would be more accurately referred to as the virgin birth which is how many people also refer to it. While the incorrect use of ‘Immaculate Conception’ has become very wide spread (almost enough you could argue, to change it’s meaning) it can’t be overlooked that there are still a huge amount of people who understand and hold strongly to it’s original meaning. 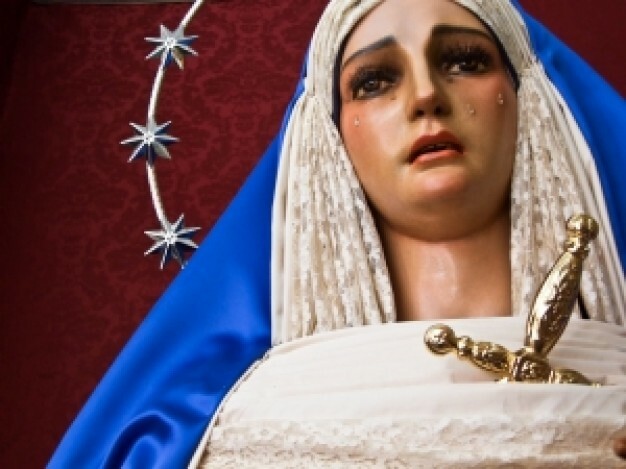 Apparently in fact, the actual date of the supposed immaculate conception is still celebrated and noted in some circles, and if this dogma is still foundational to the catholic faith, we can hardly misuse the term and claim it for our own. It causes great confusion. And personally those two ‘events’ are not ones i want to get confused. Is that in line with your thoughts, or did I misunderstand you? Yes, that is exactly what I meant. Thx. I guess i have heard the terms used so interchangeably that I never thought about it. I guess I haven’t had the correct meaning of the term either. I looked it up in my dictionary and it says, “The doctrine that the Virgin Mary was conceived free from original sin.” That’s pretty clear. Yep! Can’t believe I’d never known it… almost scary how it’s slipped into our (almost) every day vocabulary, when in reality its a doctrine that most of us certainly do not hold to! But if one of the gospels or epistles was to claim that she WAS immaculately conceived, so she would be! As per usual, I understand your point, but find it a bit strange, since the answer seems obvious. Your IF is such a big if that it’s hardly worth acknowledging. Obviously as a Christian I believe that the Bible is the inspired world of God. Therefore it contains the truth. IF, as you say, God had told us something else as truth, I would believe it, but the point is He didn’t. And in this case it is obvious that He wouldn’t, as it would be contradictory to other parts of scripture. Your argument only makes sense if you leave God out of it (in which case it totally does make sense) but the point is, if you leave God out of the Bible I have far greater problems than whether Mary was sinless or not. As a Christian I believe that God is God, He can do as He wills, and the Bible is His true and inerrant Word. End of story. I have known what the Catholic doctrine is about that (as well as the Catholic doctrine that the Eucharist is transformed by the priest into the literal body and blood of Jesus Christ) since I went through RCIA to convert to Catholicism a few years ago. I always found those particular doctrines extremely hard to accept, and trying to believe it has only become more difficult since then. Hi! Thanks for reading and commenting. From reading your own blog, I know that you have had a lot of experience with the Catholic church, so I imagine, from your response that they do actually openly teach this by it’s proper definition. They must find it strange that so many protestants misinterpret it! I think you are wise to be skeptical of things that are not taught in the Bible. Human tradition can offer us a lot, but it’s not gospel, and when it’s taken as such it can be very damaging. I have been absent for awhile and have just started reading the posts again from those I follow. I read through several of your posts and was immediately reminded of why I followed you in the first place. I look forward to catching up on all you have been thinking in the last few months! Thank you so much Kris. I know I’m responding to this very late, and I did read your comment back when you posted it, but I really needed this today, so thank you!